From galleries and museums to castles and coastlines, get a true taste of Scottish and Northern Irish culture on a stunning Celtic Panorama cruise. The wild landscapes and rugged coasts of western Scotland and Northern Ireland have inspired many an artistic soul – now let them inspire you, too, on a cruise that delivers a fascinating insight into both cultures. Arts Society Accredited Lecturer Stella Grace Lyons will be joining the trip to share her knowledge. ‘I’ve always been interested in how artists interpret their homeland,’ she says. ‘Scotland has produced some remarkable artists, particularly during the second half of the 19th century, and early 20th century. 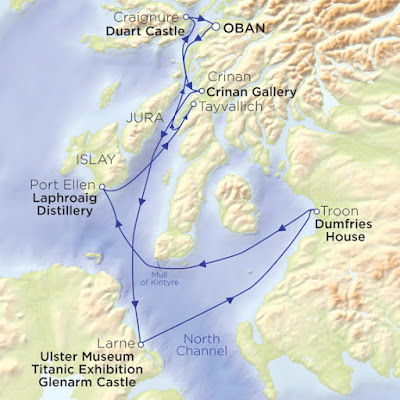 Departing from Oban, the cruise criss-crosses the North Channel and Sound of Jura, enabling guests to enjoy breathtaking coastal scenery in between exploring the cultural gems ashore. The Larne-Belfast leg of the journey takes in some of Ulster’s top attractions – from the state-of-the-art Titanic museum to the 17th-century Glenarm Castle, where guests will view Viscount Dunluce’s private collection of paintings. 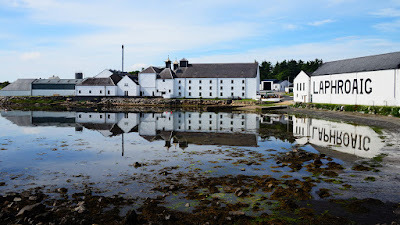 Scottish highlights include cruising around the famous Mull of Kintyre, taking the air at the beautiful fishing village of Tayvallich and sampling the superb rich malt whisky at the Laphroaig Distillery. As Stella notes, guests can expect ‘dramatic landscapes, luxurious objects, rich and striking paintings – and some of the best food and drink you will ever taste’. Cruising holidays don’t always ensure an intimate, truly local travel experience, but a trip with Hebridean is different. Hebridean Princess, celebrating 31 seasons of memorable voyages in 2019, carries just 50 guests, allowing for relaxed, uncrowded tours to destinations that many larger vessels simply could not reach. 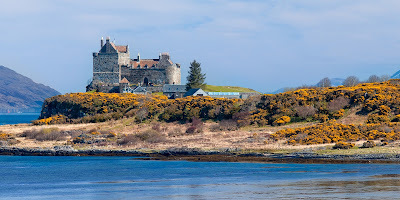 The Hebridean team prides itself on immersing guests in local character and culture – as exemplified by the finale of the tour, a champagne reception in the splendour of Duart Castle, personally hosted by clan chief Sir Lachlan Maclean. It’s a truly spectacular way to end this unforgettable voyage. Situated on Scotland’s rugged west coast where Loch Fyne meets the Atlantic, the Crinan Hotel is the ideal artist’s hideaway. Perhaps it’s no surprise, then, to find one actually running the property; contemporary painter Frances Macdonald, whose landscapes deftly capture the drama of Argyll and the Western Isles. 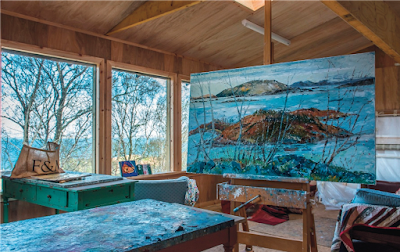 Her work, as well as that of her talented son, Ross Ryan, is regularly exhibited in Crinan’s on-site gallery. A treasure house of Irish art set in Belfast’s tranquil Botanic Gardens, the museum includes works by William Conor, chronicler of working-class life in Ulster; Jack Butler Yeats, Expressionist painter and younger brother of the poet William; and Sir John Lavery, World War I artist and acclaimed portraitist, whose allegorical figure of Ireland, modelled by his wife, long graced Irish banknotes.